Is it fall yet? Because the Burberry Prorsum A/W 14 collection is inspiring some seriously wistful feelings for the colder months ahead. 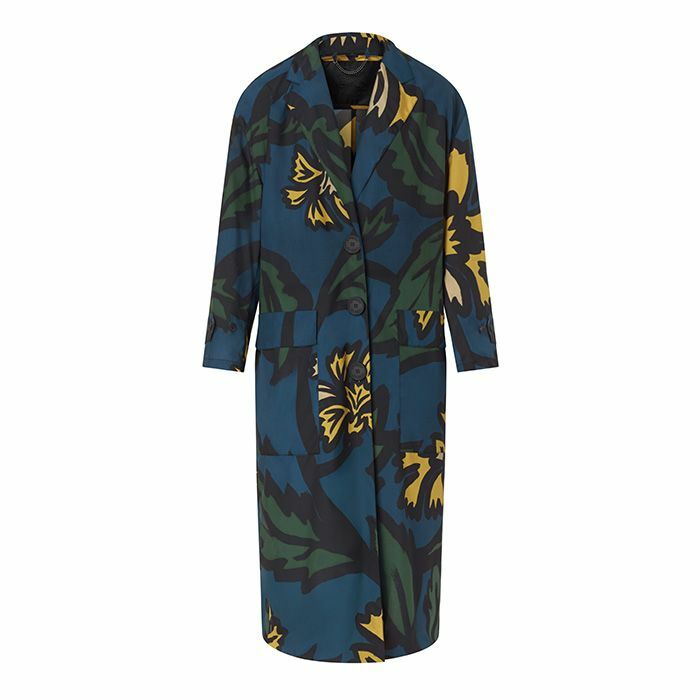 From hand-painted blanket coats and relaxed iterations of iconic trenches, to cool ponchos and statement-making accessories, every piece is unique, romantic, and brooding in the way autumn dressing ought to be. Scroll down to shop the collection! 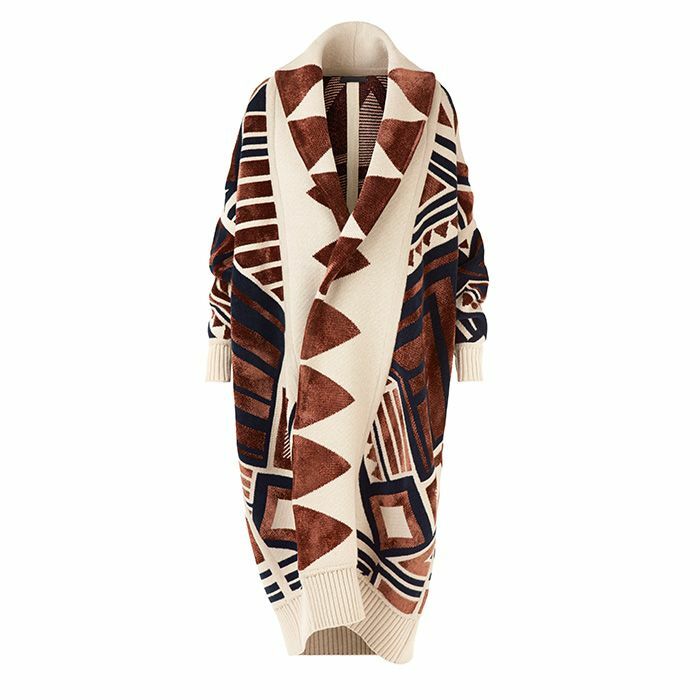 The only item on the autumn agenda is to expertly swaddle one’s outfit in this gorgeous, geometric blanket coat. In a quintessential autumn hue, we adore a sheer lace midi that’s both feminine and dramatic. 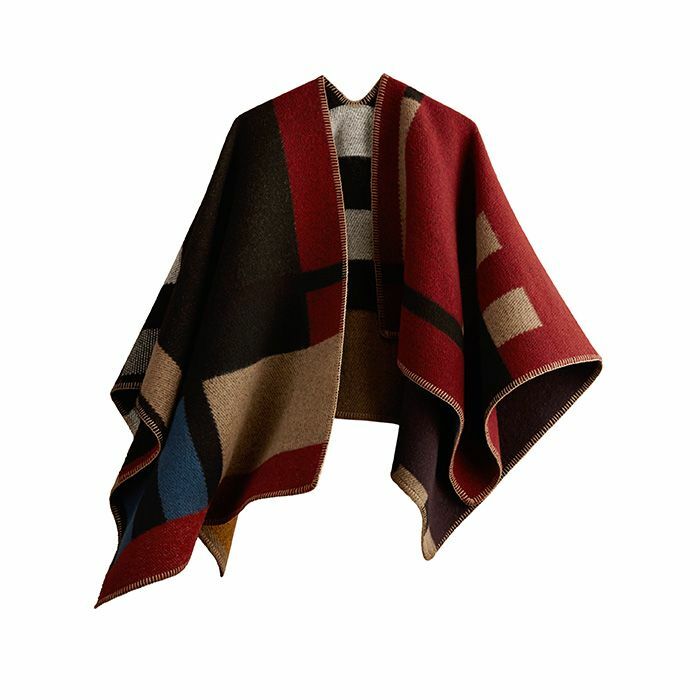 Already a street-style hit, this reversible blanket poncho with blocked check pattern is a wardrobe home run – any way you swing it. Shop more ponchos & wraps here. 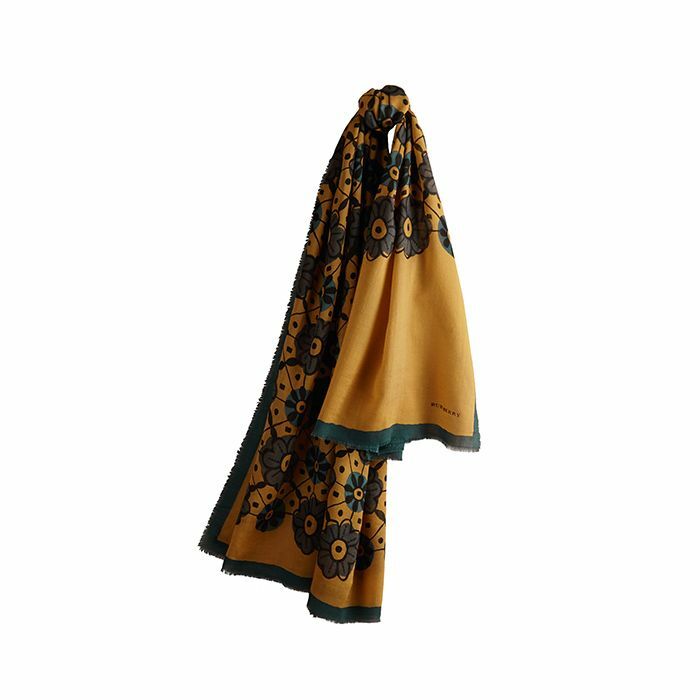 The macro floral motif of this wear-with-anything silk caban will stir up a dark and romantic vibe in any look you choose this fall. 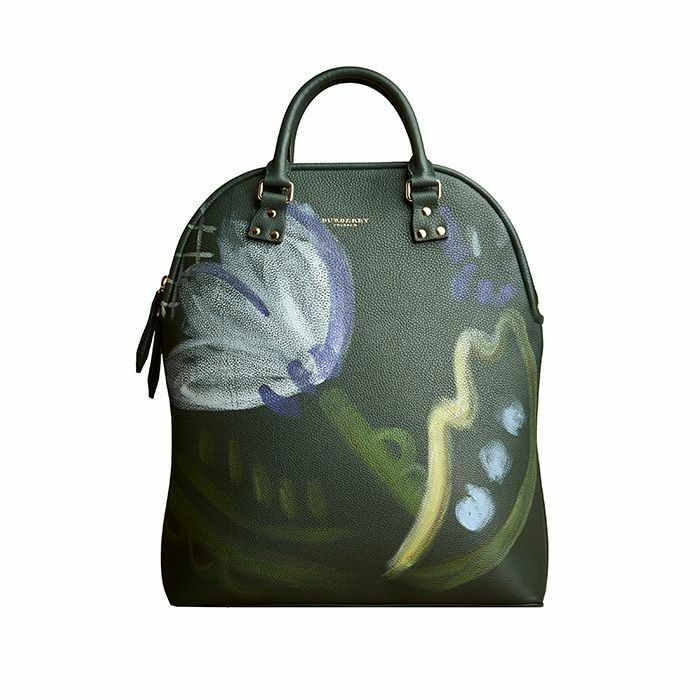 Shop all Bloomsbury bags here. This silk tea dress in cameo pink is seemingly prim at first, but a closer look serves up an alluring, deep-V décolletage. Darling and daring. We like. 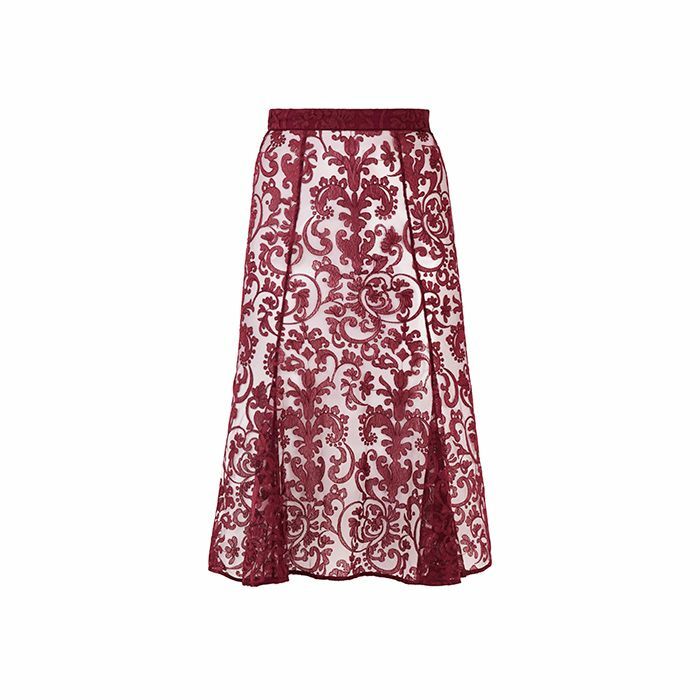 We're wrapped up in the micro-floral motif and dainty fringed edges of this fall staple. 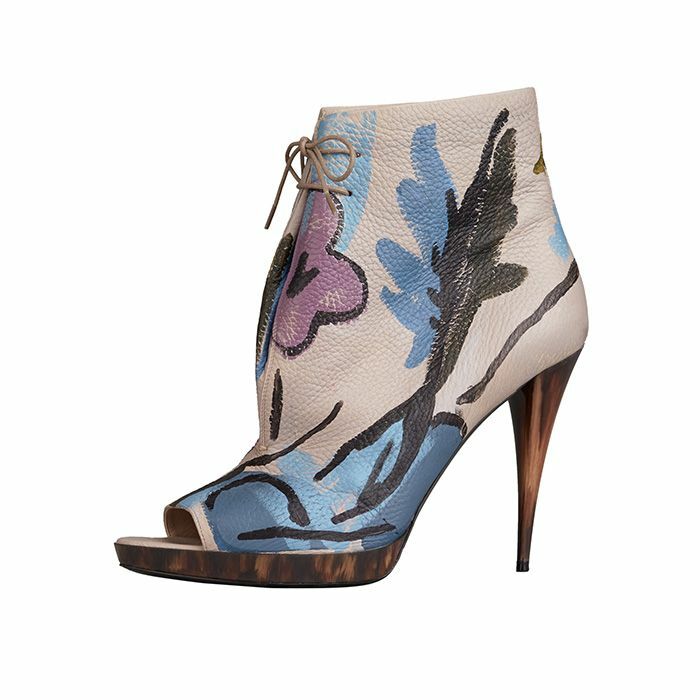 One stroll in these blooming booties, and we’re smitten. 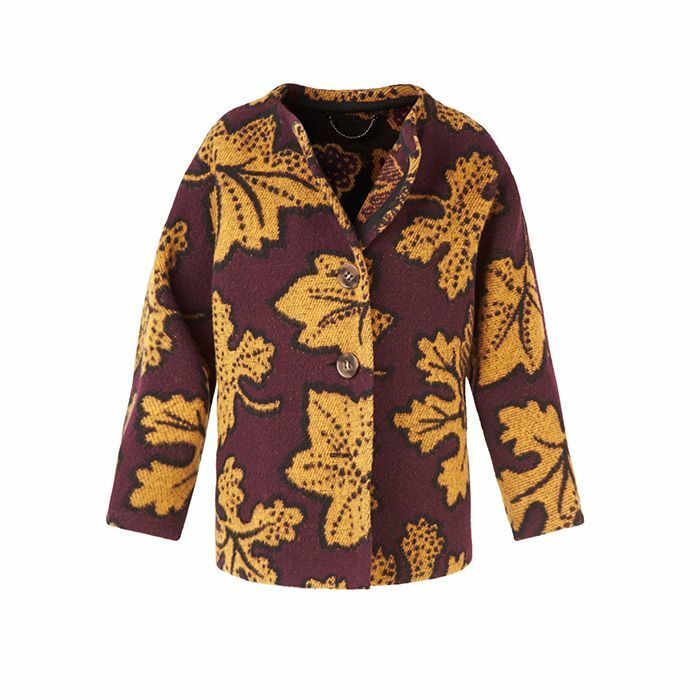 Inspired by vintage English horse blankets, this jacquard jacket leaves us in complete awe. 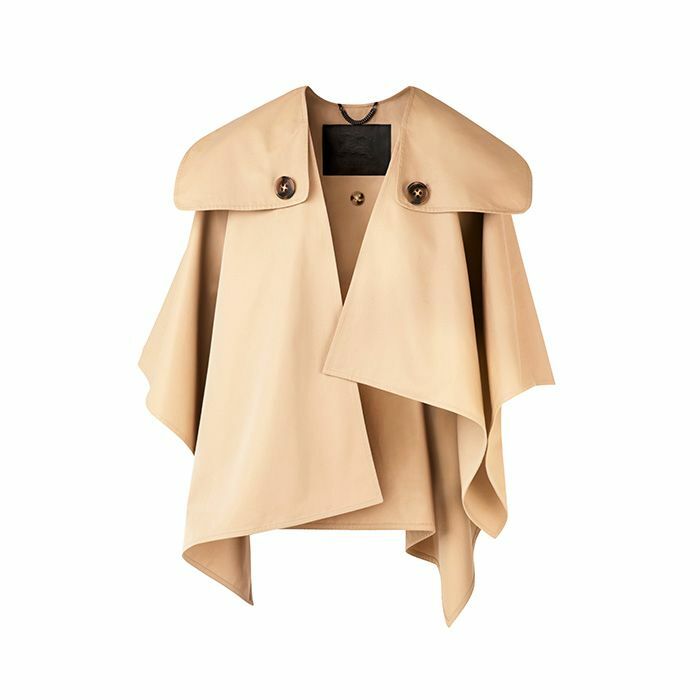 The poncho-cape is a must-watch this fall. It’s made up of all the fixings of your classic Burberry trench, but forward and functional. Hand-painted to perfection. 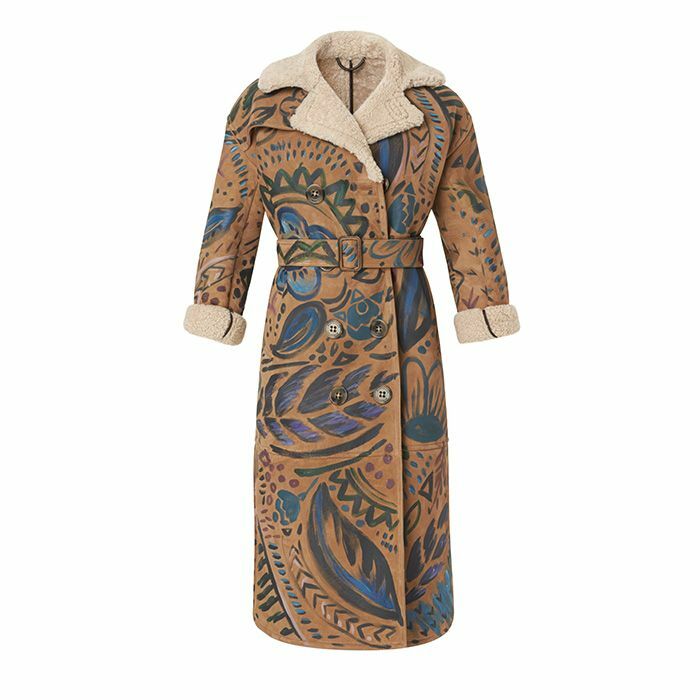 Constructed from suede and ultra-soft shearling, this trench coat is a stunning piece of fashion-slash-art. Shop more trench coats here. Whether it's free-flowing or tucked into your belt, this statement piece is the off-duty accessory to invest in. 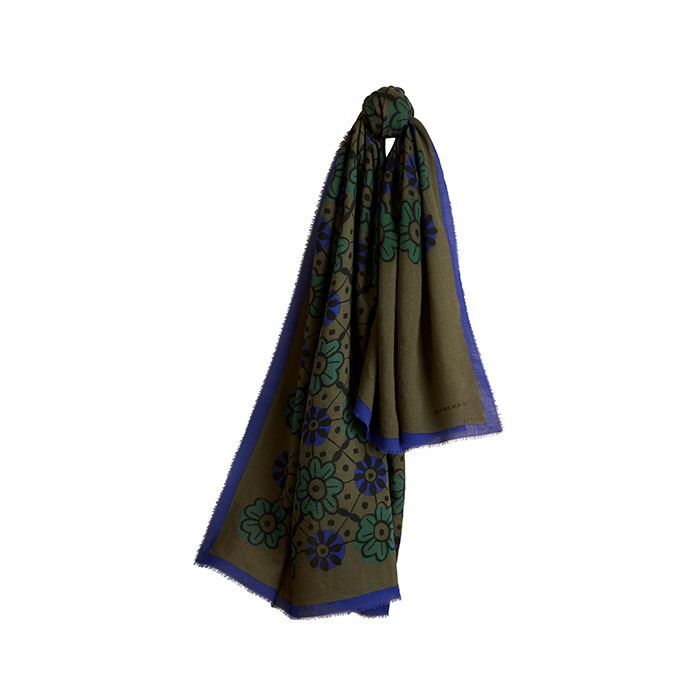 Shop more iconic scarves here. 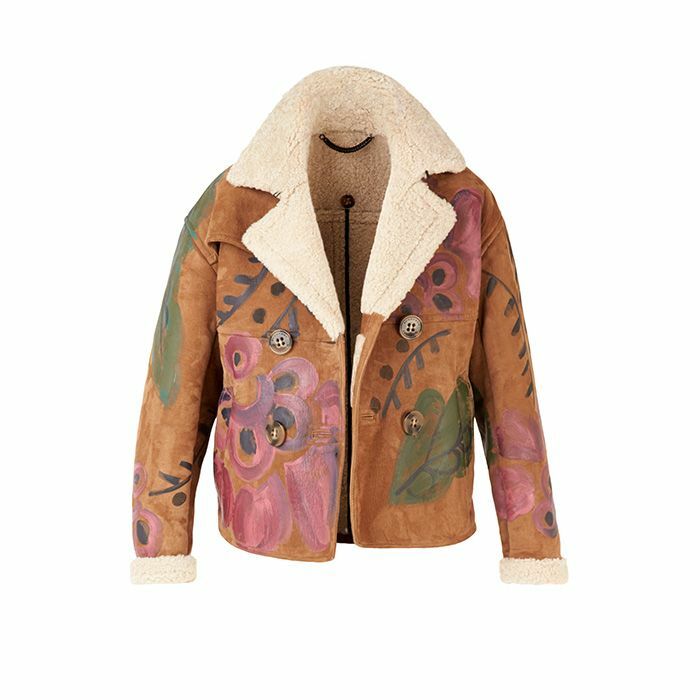 We can’t help but be drawn to this suede + shearling jacket. Make it a cool alternative to your moto. 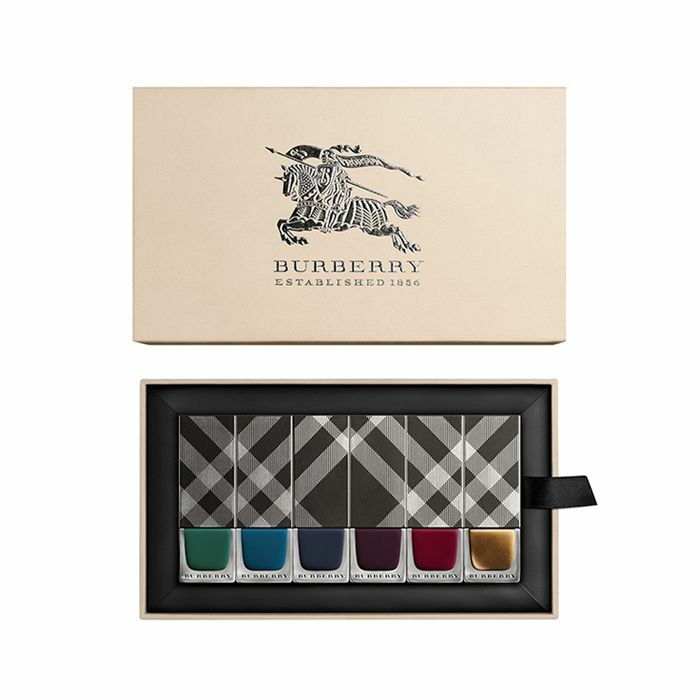 Adoring this six-piece nail polish set inspired by the autumnal shades of the collection. Want more inspiration? Watch the A/W campaign video here!